Do you ever look at someone's Etsy shop or Instagram feed and wonder how they have so much time and materials to make all of those items they are showing? I mean, who has time to make 50 different t-shirt designs (and the money and space to store it all)? Not me! They are most likely using mock-ups to create their product images. Now you're asking "what is a mock-up?" It's basically a photo of a flat lay that you can use to superimpose your designs over top of. 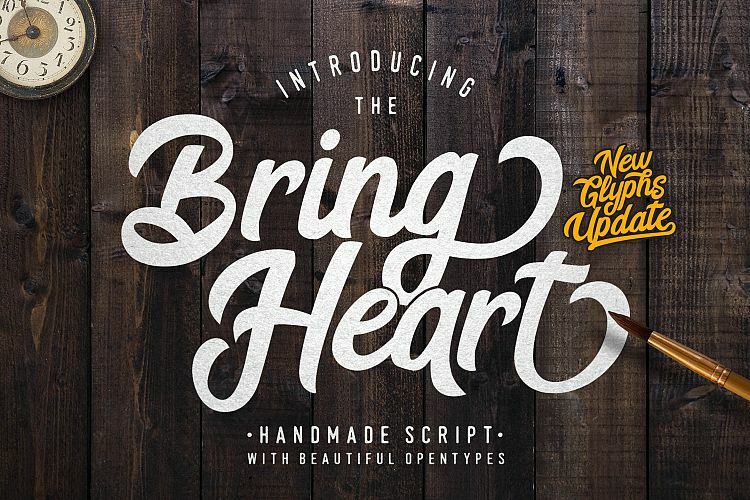 You can buy premade mock-ups or you can create your own! Simply just stage a photo with a blank t-shirt, mug, frame, wood sign, etc. and style it for the season or to coordinate with your branding. Then you can use a program like photoshop to create different layers. The photo would be your backmost layer and then you can create your custom designs on top. Here's a quick step-by-step example using some FREE files from designbundles.net. 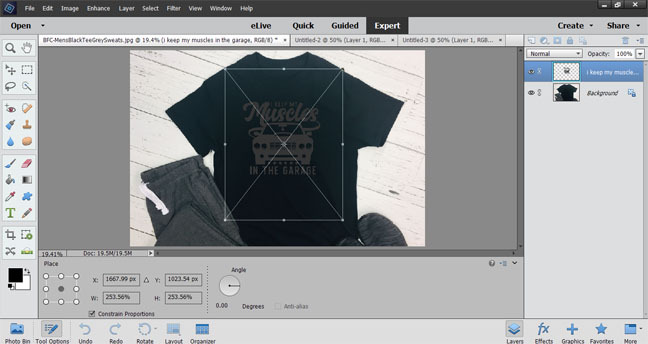 Open the mock-up photo in photoshop and select "place" to bring in the graphic. Scale it to size and hit enter once you're done. Adjust the color as needed. I went to Enhance>Adjust Color>Adjust Hue/Saturation. 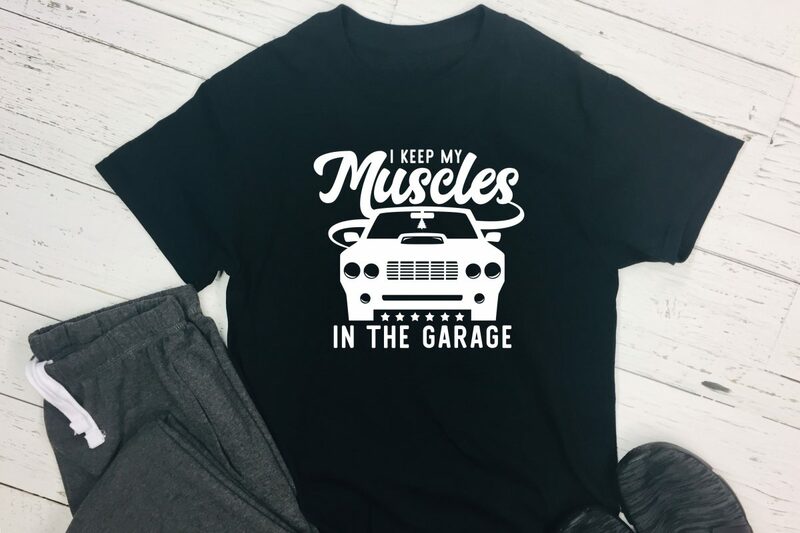 I figured making it white would pop the most off the black t-shirt. Make sure you're happy with the placement and save your design. This took about 5 minutes to create and didn't cost me a penny. If you're looking for a bunch of free mock-up's to use I created a round-up of 9 different designs over here. 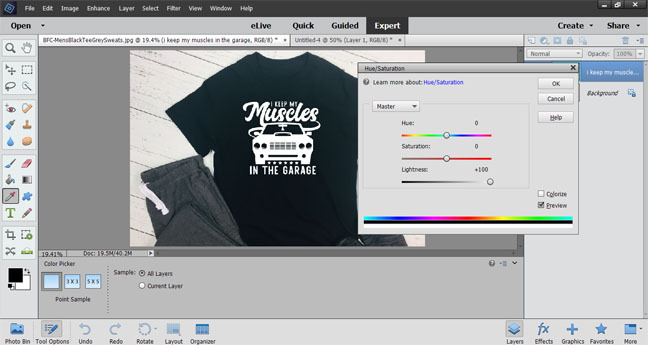 While creating your own mock-ups maybe take a photo of the mug or shirt without the other objects for styling around it so you can change the colors without having to buy 10 different shirts. 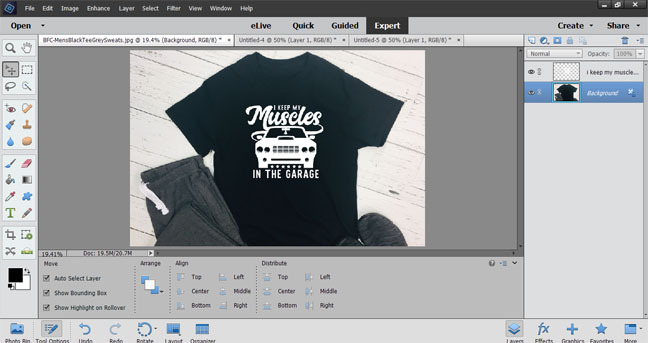 Then add in the styled objects without moving the shirt and you're ready to start creating tons of product images with a few clicks of a button. 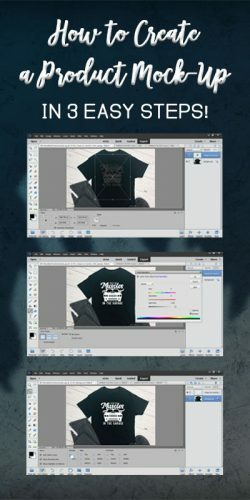 You can also use your mock-ups as a base layer on your Ipad while using the Procreate app and can make your own SVG designs. Hopefully, this will help inspire you to get started making your own shop now that you know it's not too expensive or time-consuming to get started. Here's a pin to save for later as well!